The sequel to 2012 sleeper hit, Tere Bin Laden found no takers at the Box Office in its opening weekend. The film raked in around Rs 3.20 crore in its first three days. The collections of the film are disastrous to say the least as it would be difficult for the sequel to breach the lifetime collections of Tere Bin Laden (Rs 6.5 crore). 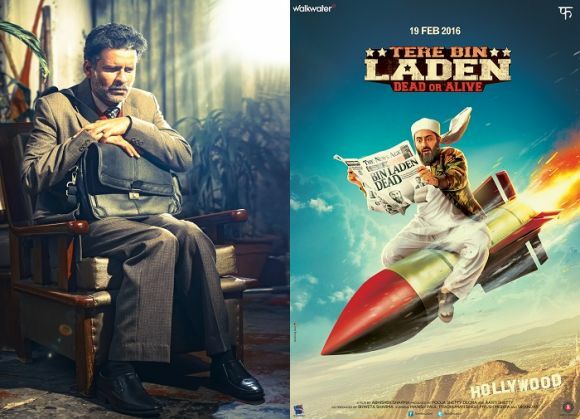 The reviews and audience feedback for Tere Bin Laden: Dead or Alive is rather negative, and major theatres plan to stop screening the film from 29 February on. The critically well-received Aligarh has also failed to draw audiences in theatres. Despite positive reviews, the film did not witness a jump in collections over the weekend. The three-day collection of Aligarh falls just under Rs 2 crore and like Tere Bin Laden, the theatres will cut down the number of shows allotted to Aligarh from Monday on. Himesh Mankad is an entertainment journalist who has a B.Com degree from Narsee Monjee College, Mumbai. He prefers covering Bollywood and loves good stories and music. When not watching movies, he can be found on a cricket field strutting his stuff. Will John Abraham and Sonakshi Sinha's Force 2 release this November?